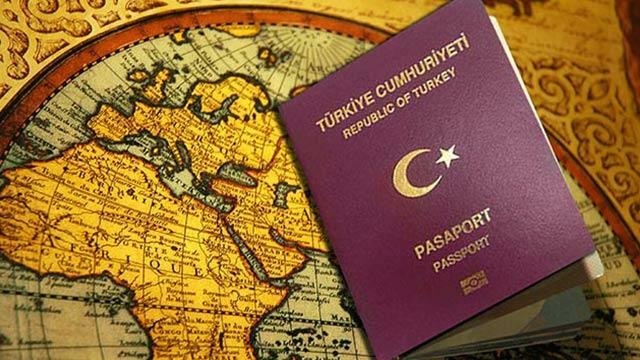 The passport of a Turkish national has been confiscated by officials at the Turkish Consulate General in Warsaw with no justification on March 23. Turkeypurge.com received a complaint from a Turkish national named Said Aburrahim Murat, who stated that his passport was seized and cancelled by the Turkish Consulate General in Warsaw and he was offered a single-use passport to go back to Turkey. “I am founder of Polonyadan.Com, the web platform about Poland in Turkish. We write everything about Poland for Turkish readers. I have some news that you might be interested in writing and sharing about it with your network. I visited to General Consulate of Republic of Turkey in Warsaw for official document purposes on 23th of March 2017. However, they seized my passport with no reason. What they only say is ‘your passport has been cancelled’. I do travel a lot and legally working in Poland with work and resident permits. They do not give any reason for seizing my passport. Embassy of Republic of Turkey in Warsaw says that they cannot give my passport back to me. When I ask for the reason, they keep silenced. I am a computer engineer who graduated here in Warsaw. I am married and living with my wife in Warsaw. I used to live in Turkey, United States, Brazil, and currently living in Poland. I never ever had any criminal problem in any country. When I check the official criminal report in Turkey, I am clean as well. There is no lawsuit on me,” Murat said in his e-mail. Murat is a computer engineer who graduated from a university in Warsaw and has been living in Poland legally with his wife. He said he had lived in Turkey, the United States and Brazil before and had no criminal record at all. “When I checked the official criminal report in Turkey, I am clean [there] as well. There is no lawsuit against me,” he noted. Murat filed a report about the incident at the Turkish Consulate with both Interpol and the United Nations. He said the cancellation and seizure of his passport disrupted his life as he is dependent on foreign travel as part of his employment in a company that does a large amount of international work. “Everyone knows that seizing a passport and letting a citizen stay abroad without a passport is not legal. That’s why the Turkish Embassy does not want to give any reason to us. I send them emails, mail via the Polish Postal Services and petitions. They do not reply to any of them,” he added.